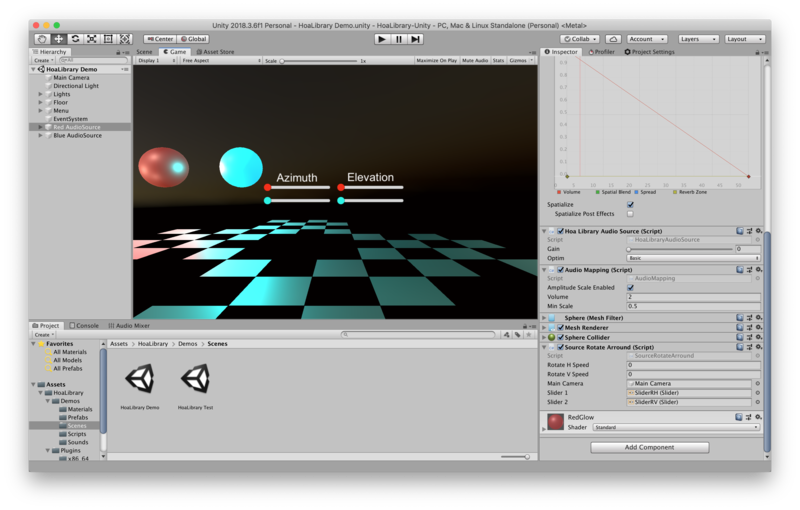 The HoaLibrary is available as a native spatializer plugin for the game engine Unity3D. Informations about installation and usage. All sources codes are available on the HoaLibrary-Unity Github repository. The hoa.library is under the terms of the GNU Public License. If you’d like to avoid the restrictions of the GPL and use Hoa Library for a closed-source product, please contact us.